HEB has just released three additional titles in its ongoing Gutenberg-e series. These latest installments complete the HEB edition of this pathbreaking collaboration between Columbia University Press and the American Historical Association intended to make innovative scholarship available to readers in a digital format. Support for the Gutenberg-e initiative was provided by The Andrew W. Mellon Foundation. 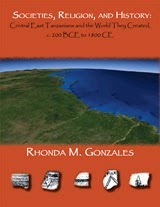 Newly available on HEB, Societies, Religion, and History: Central East Tanzanians and the World They Created, c. 200 BCE to 1800 CE by Rhonda Gonzales delves into the history of the Ruvu peoples living along the central Tanzania coast. The work explores the archaeological and linguistic significance of this particular region, which was central to brokering economic and other interactions between various societal and geographic groups over a period of hundreds of years. 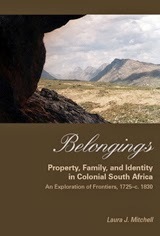 Laura J. Mitchell's Belongings: Property, Family, and Identity in Colonial South Africa addresses colonial/imperial expansion and conflict between representatives of the Dutch East India Company and indigenous peoples, as well as Indian-Ocean slaves, in South Africa in the eighteenth and nineteenth centuries—bringing to light the habits and practices of European settlers outside of organized political and military efforts that proved instrumental to exerting colonial control over local frontier regions. 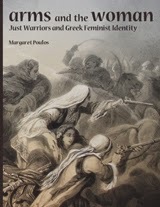 Finally, Arms and the Woman: Just Warriors and Greek Feminist Identity by Margaret Poulos investigates the symbolism of depictions of women-in-arms and well as actual historic female participation in three armed conflicts: the War of Independence or Greek Revolution of 1821, the National Resistance movement (1941–44) and the Greek Civil War (1946–49), in a dissertation that addresses the intersections between nationalism, militarism and feminism. HEB is pleased to offer its own editions of all 35 prize-winning books in the series in a cross-searchable, XML format. For a complete list of titles, please see this link.